Just one point: the TeachingEnglish Facebook page is aimed at teachers of English. 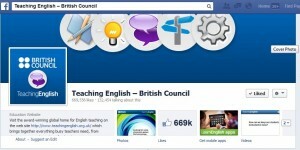 We have a specially dedicated LearnEnglish page https://www.facebook.com/LearnEnglish.BritishCouncil for learners. 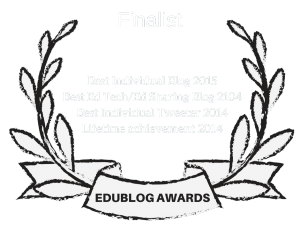 Last month, I posted The Best Three Sites On The Web For ESL/EFL/ELL/ELT Teachers. I’ve since interviewed the people behind each of those sites, and will be publishing them over the next few weeks. 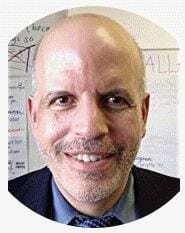 Two weeks ago, I published my interview with David Deubelbeiss, the founder of EFL Classroom 2.0. Last week, I posted responses from Michelle Henry from Ressources Pour Le College En Anglais. LF: First off, can you a little bit about yourself and how, when, and why you got involved in teaching English? I’m very much from that old happy, hippy generation. Although I’ve always had ambitions, they’ve rarely been clearly focussed on career but much more on doing what I wanted to do and felt right. So at times I’ve been a community worker, photographer, film-maker or software developer and at others, a teacher. What these diverse pursuits have in common, I suppose, is that they’ve all given me a continuous incentive to learn and adapt – which is what I enjoy doing in life. I began teaching English to Chilean Refugees, who had fled from the coup against Allende, which means that anybody who knows their history should be able to calculate my age pretty easily! I think that was a great way to start because there was no room for doubts in my mind as to what I had to do or what my role was. My mission was clear – to help my Chilean friends learn enough English to enable them to confront the harsh realities of their day-to-day lives. They needed it to be able to find a job and somewhere to live, communicate with teachers, social workers and doctors, and also to keep up with their children who, immersed as they were in the language at school, were quickly outstripping them in their knowledge of English. I’d say that this was a real moment of praxis for me, and this concept – the fusion and interplay of theory with practice – is one I’ve always liked and tried to apply to my life. So, at the same time as I caught up with the pedagogy: the theories of learning and teaching English, I was caught in the process of testing it out – looking to see what proved effective and quickly discarding what was not. LF: You publish the Teaching English Facebook page for the British Council, which is likely the most popular site — by far — in social media for English teachers and learners. What have you done/do you do to make it so popular? I work closely with Paul Braddock, who manages the TeachingEnglish website, and both of us were clear from the onset that our aim in creating the TeachingEnglish Facebook page was to build up a support community for English language teachers. We hoped that the page would become a kind of daily digest for the ELT community: a place where teachers could keep up-to-date with innovations in education, plus exchange ideas about their day-to-day experiences in the classroom. So alongside encouraging daily discussions on the page and posting about great content we have on our TeachingEnglish and LearnEnglish suite of websites, we extended an open welcome to ELT bloggers. We featured their blogs, invited them to post updates about them on the page and followed that up by launching a monthly TeachingEnglish blog award. It’s been a gradual, organic process, but I’d say that the reason for our current success is that the page is widely regarded as belonging to the people who contribute to it and find it useful, rather than being a flagship for the British Council. I assume, but don’t know for sure, that you also coordinate the Teaching English Twitter account which I’m assuming is the most popular Twitter feed for English teachers and learners. As I asked in my previous question about Facebook, what have you done to have made it so popular? And how do you determine what you where? Yes, TeachingEnglish Twitter is very popular. However, I think that I should really put more effort into making it better. We’ve not systematically tried out the idea of community building there. To be honest, I’m a bit scared of what could happen if we managed to achieve the same level of discussion that we get on our Facebook page. At the moment we simply don’t have the resources to manage it! So for the time being our tweets are short, snappy and largely informative, although in the future I’d like to engage more with teachers who see Twitter as a support network for their personal and professional development. LF: What are your future plans to expand your online work, and what are you future plans in general? I’m excited about the idea of doing more to help teachers with their continuing professional development. The TeachingEnglish team is currently looking at ways we can break CPD down into manageable bite-sized chunks for teachers. We’d like to offer teachers specific learning pathways that meet their personal needs but to include game elements and fun challenges in the mix. Our aim is to build on the support that teachers already get from social networks, but to try and channel it in a more focused way. LF: What are your thoughts about the future of English teaching — trends, predictions? What interests me most about current trends is that they’re slurring the traditional boundaries where learning takes place. New technology and the internet are now so much part of our lives that there is no longer a good reason – if there ever was one – to confine the learning process to geographically or conceptually fixed sites such as schools or universities. I think that we as teachers really need to get our heads around this one and work out how we can help our students take full advantage of the situation. It means thinking as much about how we teach as what we teach. I’d like to see us break through the passivity that the current educational system tends to foster amongst all of us: to find ways that we can encourage students to become critical thinkers, the kind of people who don’t take what’s offered at face value but have a clear strategy for learning about the things they consider to be important. I think that we can enrich the learning process enormously if we see it as a seamless process where teachers and students alike explore the connections we find both inside and outside of the classroom. I’d like to see us drawing on our students’ life experiences and stimulating their curiosity to pose questions that they’re really interested in and to get them seeking the answers from whichever information source that best suits the situation. The world is our oyster and we need to explore all possible means for finding out what we want to know whether it be though the spoken word via friends, family or local community; printed materials via comics, magazines and books; or the virtual world via the internet and social networks. Thank you very much for such an inspiring and informative interview. I think teaching English is a process which should involve the preparation of students to think critically rather than getting information piecemeal from the web. The teaching of English provides the opportunity of gaining knowledge from different fields of education while working with different texts but this can be unattainable if we just engage in disseminating information on learning the language, especially online. I am a Korean teacher as a foreign language. Her postings are useful not only to English Teacher but also to Korean teacher! I think all informations she posted is helpful for foreign language teacher! I really love her postings. ^^!